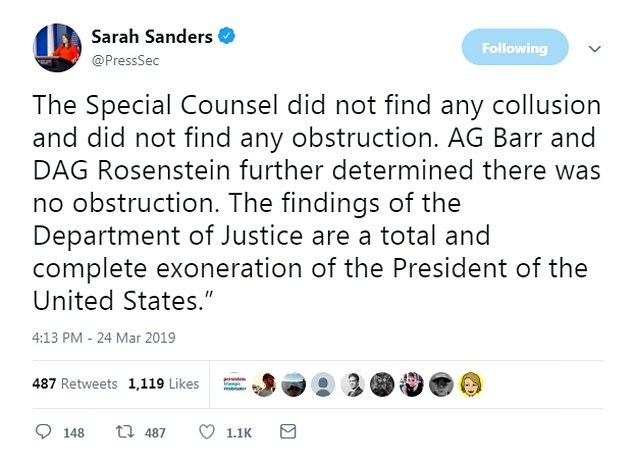 BREAKING: Mueller Report Exonerates President Trump – No Collusion. No Obstruction. The Trump White House is taking a much-deserved victory lap as the Democrat and media-constructed house of cards that was the Trump-Russia hoax has finally come crashing down with a findings report issued by Attorney General William Barr that declared President Trump did nothing wrong. Mueller sensationally CLEARS Trump and his campaign of collusion with Russia over election-rigging and leaks of Democrats’ emails and White House claims total exoneration after Attorney General Barr decides there’s not enough evidence to charge Trump with obstruction. President Donald Trump’s campaign did not collude with Russia in the 2016 election, Robert Mueller found in his long-awaited report, as the White House crowed it was ‘total and complete exoneration’ of the president. Mueller’s conclusions were announced by Attorney General William Barr in a letter to the House and Senate Judiciary chairmen on Sunday. ‘The Special Counsel’s investigation did not find that the Trump campaign or anyone associated with it conspired or coordinated with Russia in its efforts to influence the 2016 U.S. presidential election,’ the letter states. 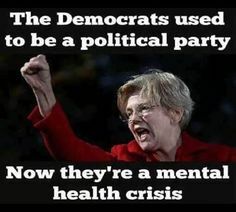 House Democrats are already declaring they will be calling AG Barr to explain his views on the Mueller report even as they also continue raising campaign cash by promising voters they will continue working to impeach President Trump even as the Mueller report makes clear that the president is innocent of all of the baseless and highly speculative accusations/lies that have been leveled against him since winning the White House in 2016.